The Horseware Newmarket Grooming Kit is the perfect gift as it contains everything you need to keep you horse clean and tidy. This grooming kit is fully coordinated in Horseware Newmarket colours and is kept tidily together in a tough polyester bag with Newmarket branding. 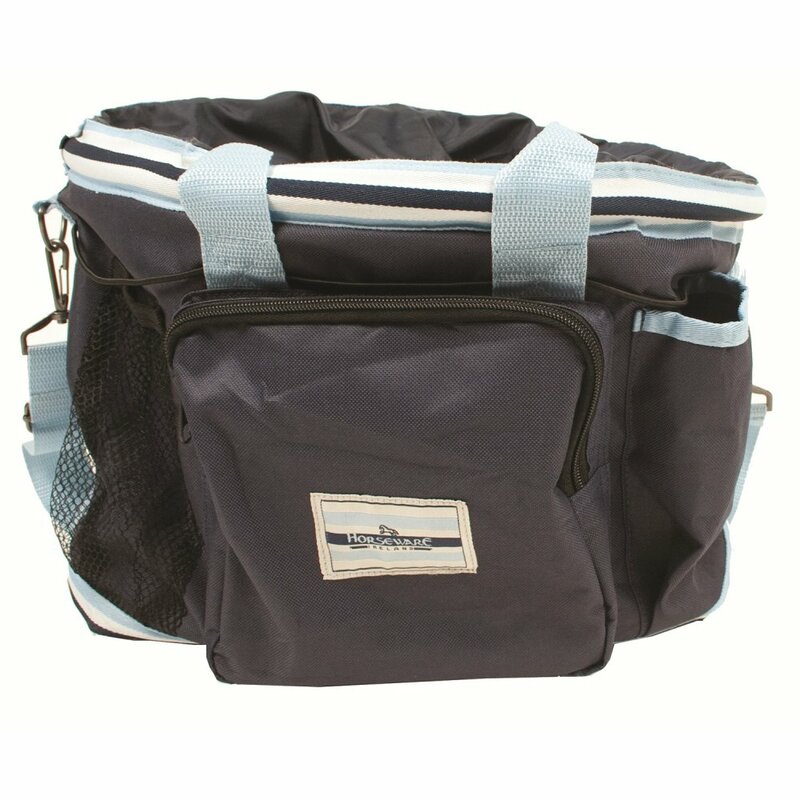 The bag of this Newmarket Grooming Kit has two carry handles and a detachable shoulder strap with plenty of side pockets for extra storage of bottles and plaiting bands etc. This Horseware Grooming Kit contains four brushes (face brush, body brush, dandy brush and mane and tail brush), a sweat scraper, a hoof pick and a curry comb.